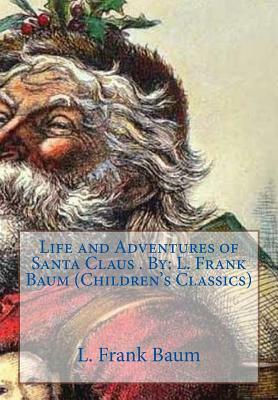 Lyman Frank Baum (May 15, 1856 - May 6, 1919), better known by his pen name L. Frank Baum, was an American author chiefly known for his children's books Contents 1 Youth 1.1 1. Burzee 2 2. The Child of the Forest 3 3. The Adoption 4 4. Claus 4.1 Endnote 4.2 5. The Master Woodsman 4.3 6. Claus Discovers Humanity 4.4 7. Claus Leaves the Forest 5 Manhood 5.1 1. The Laughing Valley 5.2 2. How Claus Made the First Toy 5.3 3. How the Ryls Colored the Toys 5.4 4. How Little Mayrie Became Frightened 5.5 5. How Bessie Blithesome Came to the Laughing Valley 5.6 6. The Wickedness of the Awgwas 5.7 7. The Great Battle Between Good and Evil 5.8 8. The First Journey with the Reindeer 5.9 9. "Santa Claus " 5.10 10. Christmas Eve 5.11 11. How the First Stockings Were Hung by the Chimneys 5.12 12. The First Christmas Tree 6 Old Age 6.1 1. The Mantle of Immortality 6.2 2. When the World Grew Old 6.3 3. The Deputies of Santa Claus.